Chronic malnutrition is a key challenge facing the health sector in Indonesia and childhood stunting remains a significant problem. Despite much development and health progress in recent years, 35.6% of Indonesian children are considered to be stunted. To address this challenge - as part of the Millennium Challenge Corporation and Government of Indonesia’s Community-Based Health and Nutrition to Reduce Stunting Project - IMA World Health (IMA) is designing and implementing a National Nutrition Communications Campaign (NNCC) to change behaviors that contribute to malnutrition and childhood stunting. The interpersonal campaign worked, in part, with cadres, midwives and key health ministry staff on the ground to supervise, monitor and work directly with communities through Posyandus (integrated health posts) and mother groups. Local NGO staff acted as facilitators collecting information on the activities undertaken. One challenge was that not all villages had functioning groups or the communication tools to help educate young mothers. The NNCC set a target that at least one or more groups should be present in 80% of the villages where the project is being implemented. The monitoring and evaluation component of the NNCC is carried out within DHIS2 and used the DHIS2 Data Capture android app. DHIS2 was configured with the support of BAO Systems. The village level component required that local NGO support staff carrying out the data collection were able to do so on a mobile device, in low connectivity settings, as the work was underway. 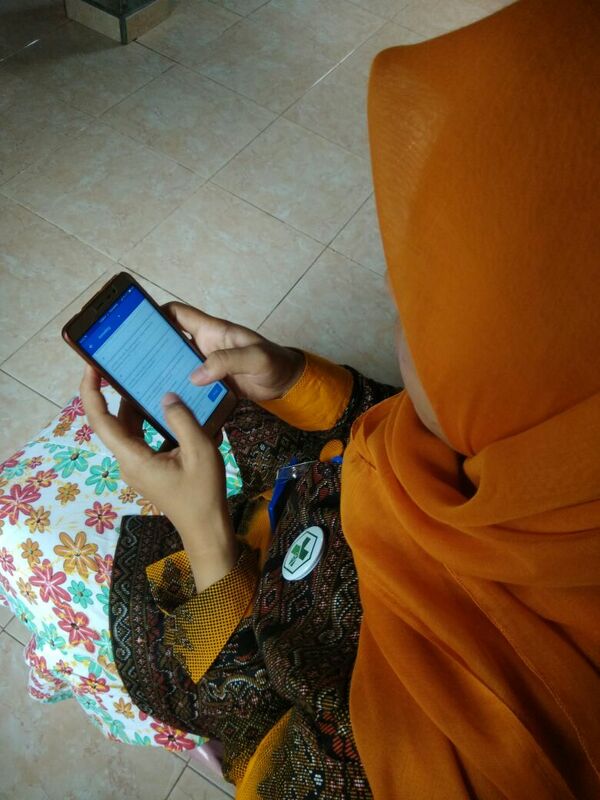 A data set with section forms was created and loaded through the data capture app by over 70 sub-district facilitators on their own android device. Since February 2017, the facilitators have been entering monthly data into DHIS2 through the android app for over a thousand villages. This wealth of data ensures that the project is moving in the right direction and that adjustments can be made relatively quickly at the monthly facilitator’s meeting. Since measuring mother groups across the villages within DHIS2, the campaign can say, as of October 2017, that 95% of villages host at least one mother group.